This post provides a brief about what to expect from the Cloud Foundry meetup session, 'Developing Cloud Native Apps on Cloud foundry' which is scheduled on June 7th, Bangalore. With the rapid adoption of Cloud computing by organizations, it has become increasingly imperative to make our application architecture, cloud enabled. This talk which is a part of the Cloud Foundry Meetup, covers Cloud native Software applications, its characteristics, challenges, supported by a demonstration through an app. 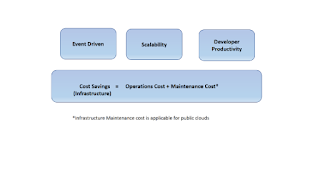 Cloud native Software and applications is a buzz word today and enterprises are trying to understand this concept and apply in building software systems which are “Cloud Native”. This talk captures the experiences of developing such cloud native systems for EMC's customers. We will explore the key characteristics of Cloud native software systems, key enablers required to develop them and the key challenges they bring along. It is followed by a demo of how Cloud foundry supports building Cloud Native software. We will touch very briefly on 12 factor app principles, Micro Services using Spring Boot, Spring Cloud among other topics. EMC and KPIT, in association with Cloud Foundry, present Cloud Foundry Mega Meetup 2016. Be a part of the largest Cloud Foundry event in India – join hundreds of developers, architects and business leaders at Cloud Foundry Mega Meetup to help your company deliver apps faster than ever before. Attend the event to catch industry experts present on topics that are increasingly relevant in today’s scenario and define your organization’s multi-cloud strategies.